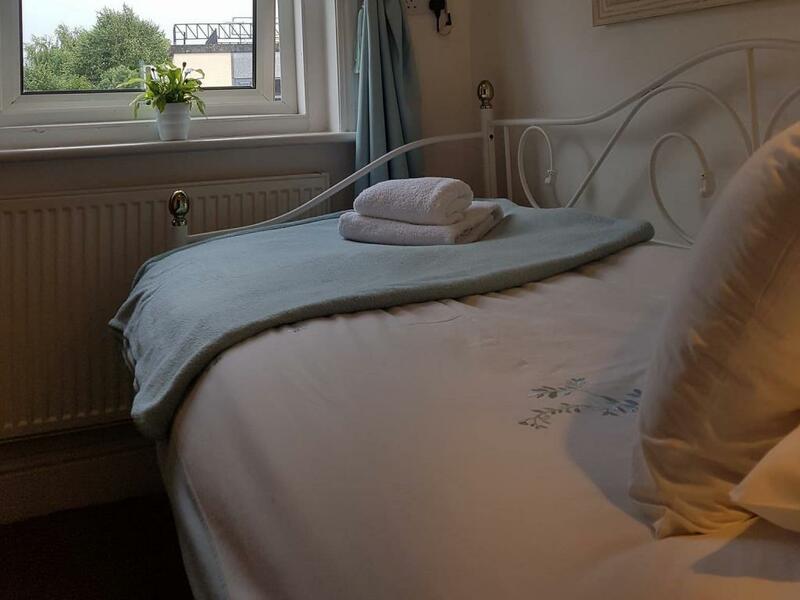 Room size: 59 ft² Room facilities: Free toiletries, Heating, Carpeted, Toilet paper, Socket near the bed, Adapter, Non-feather pillow, Hypoallergenic pillow Free WiFi is available in all rooms.
? 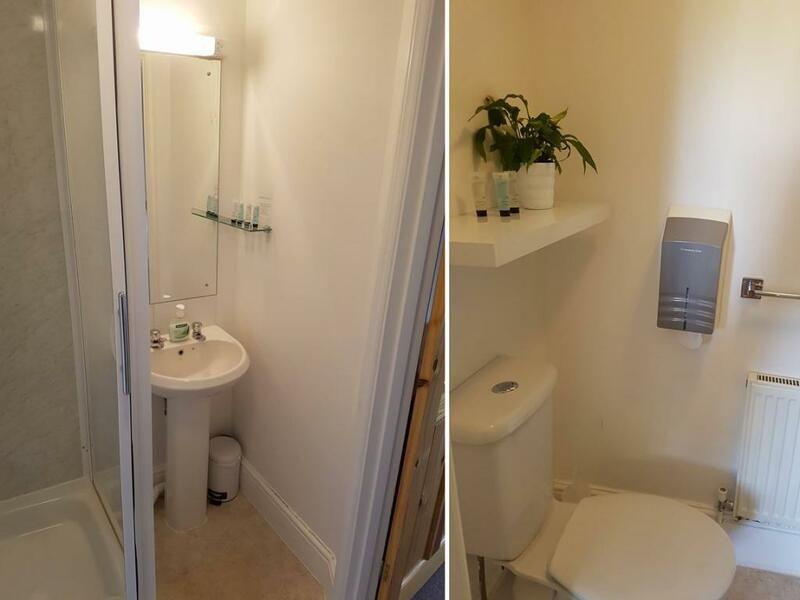 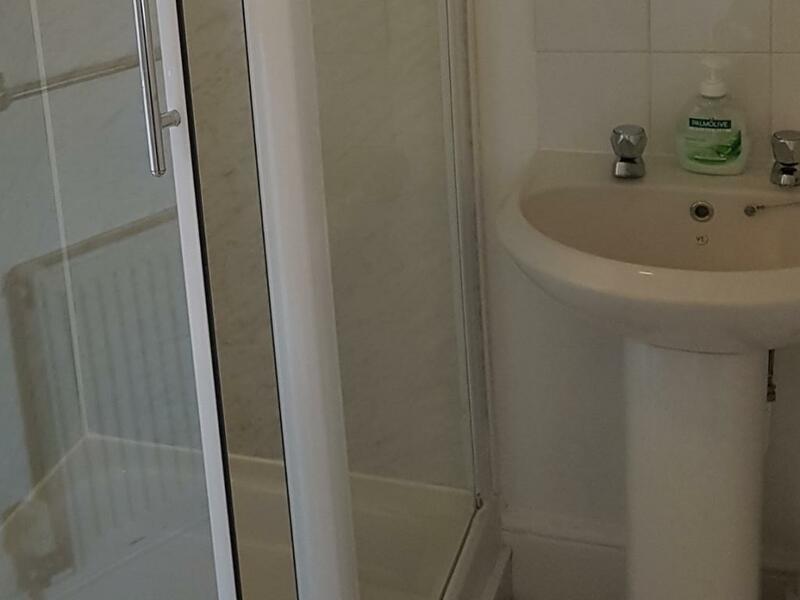 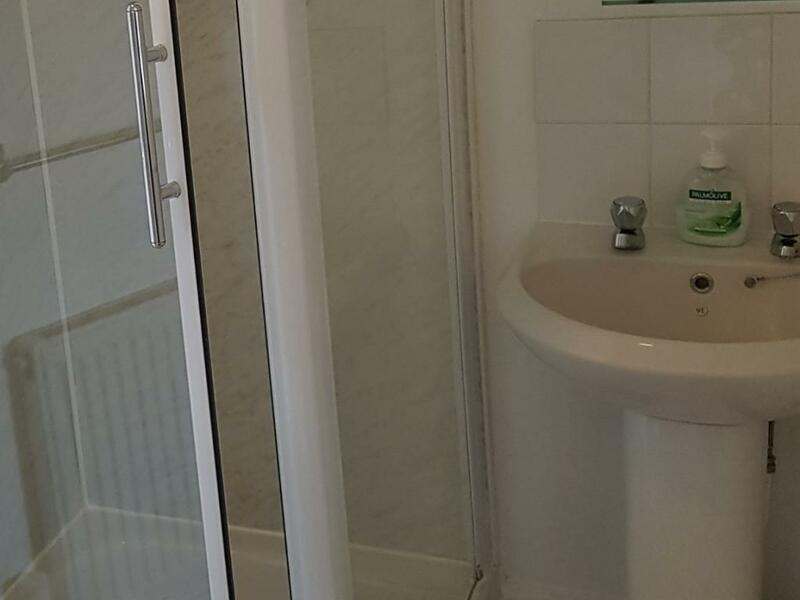 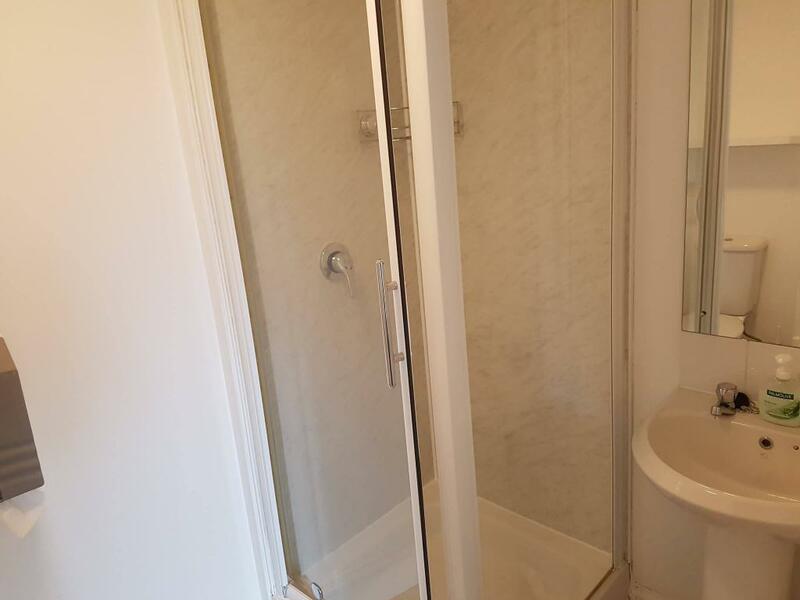 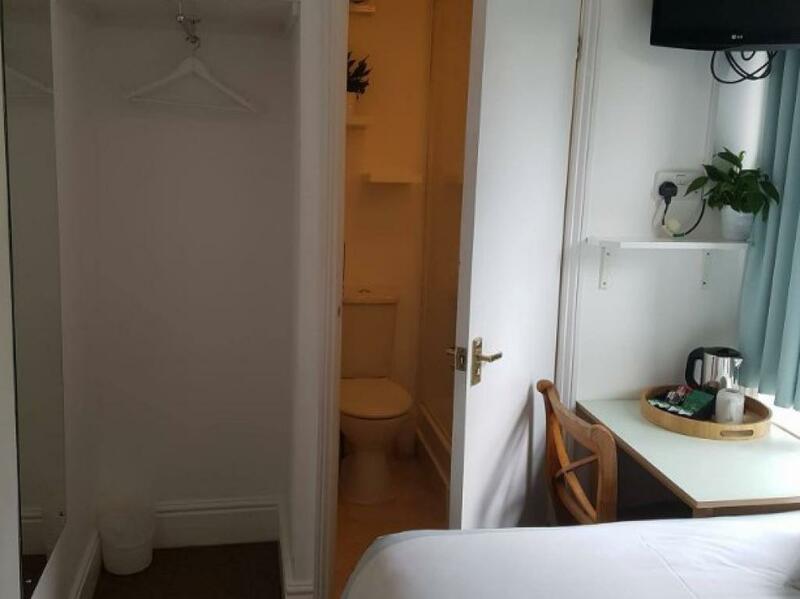 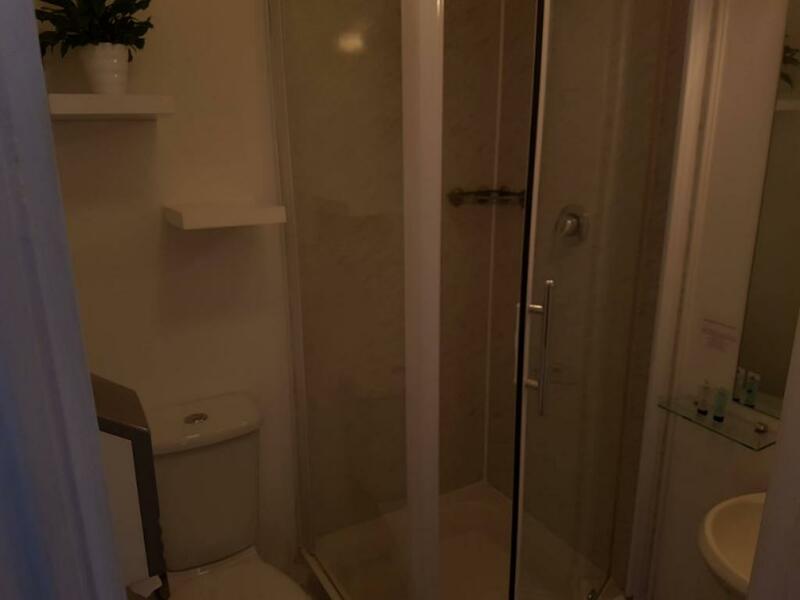 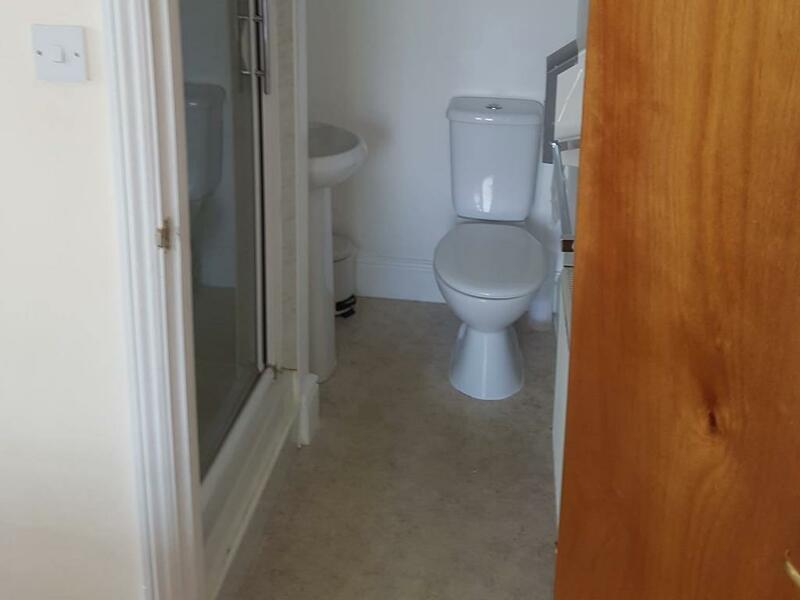 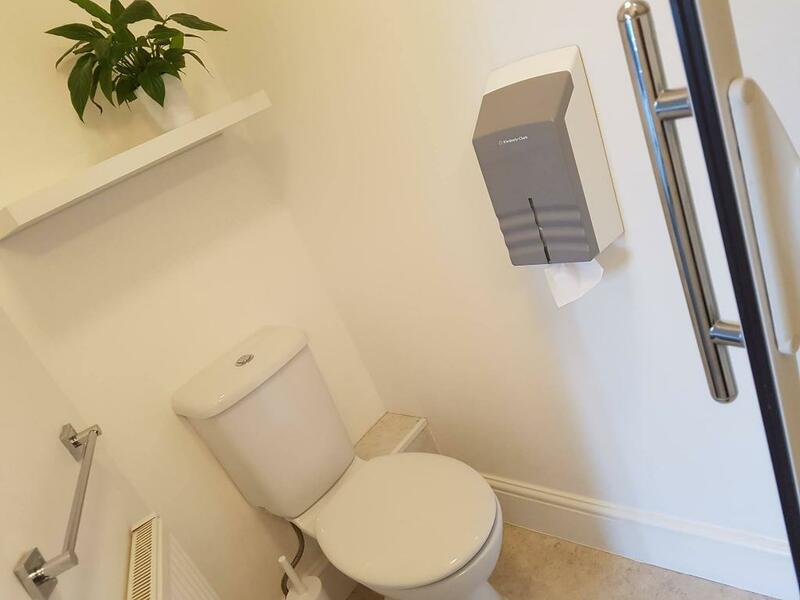 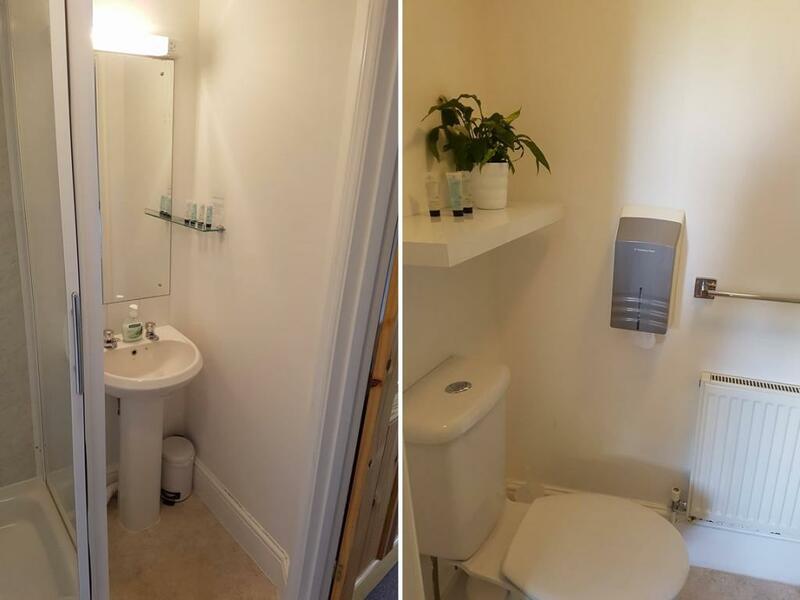 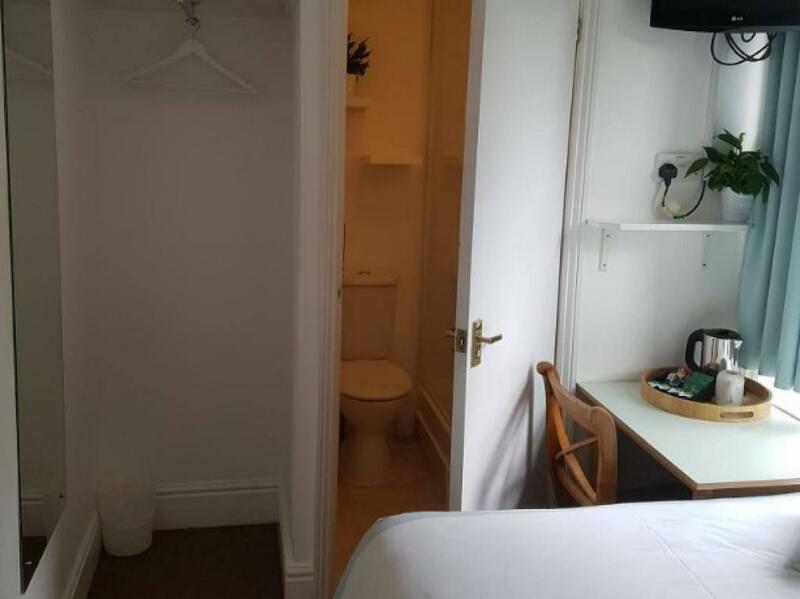 Private bathroom Room size: 97 ft² An en suite room with a flat-screen TV, free Wi-Fi access and tea and coffee making facilities. 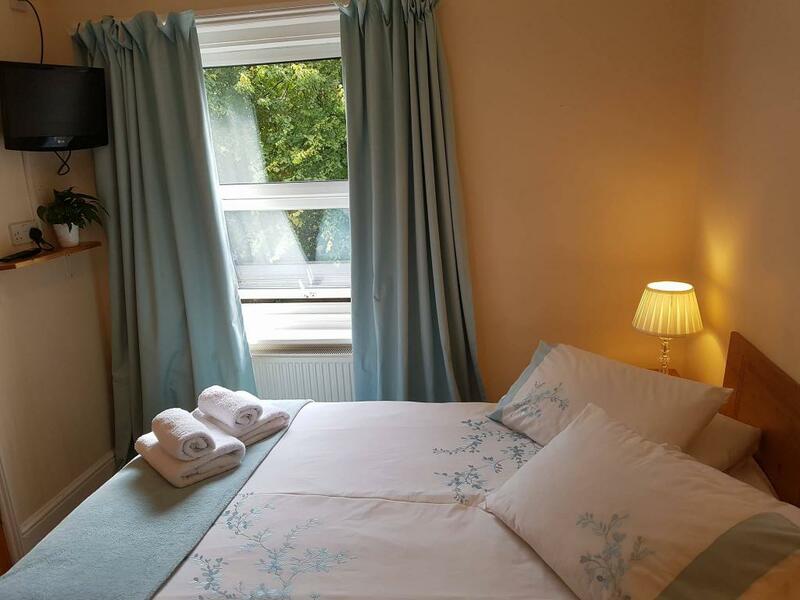 Please note that rooms vary in size and some are on the top floor with sloping views. 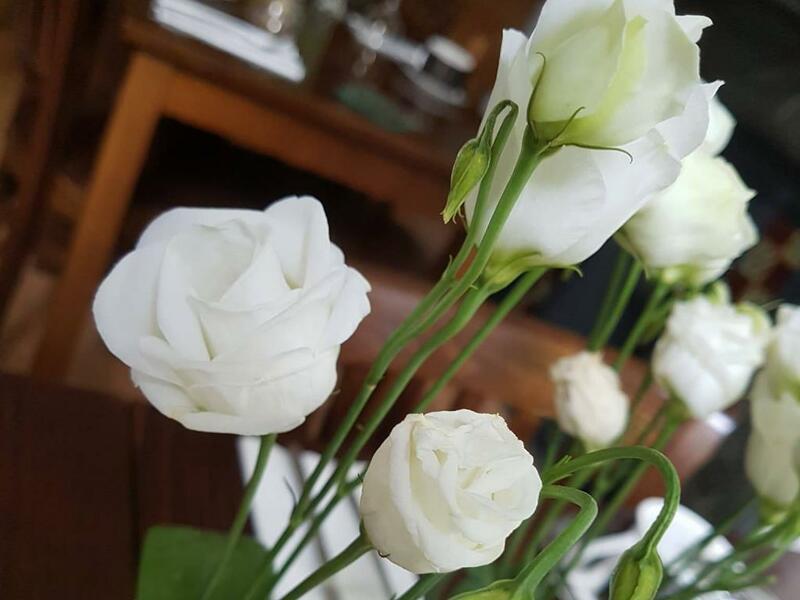 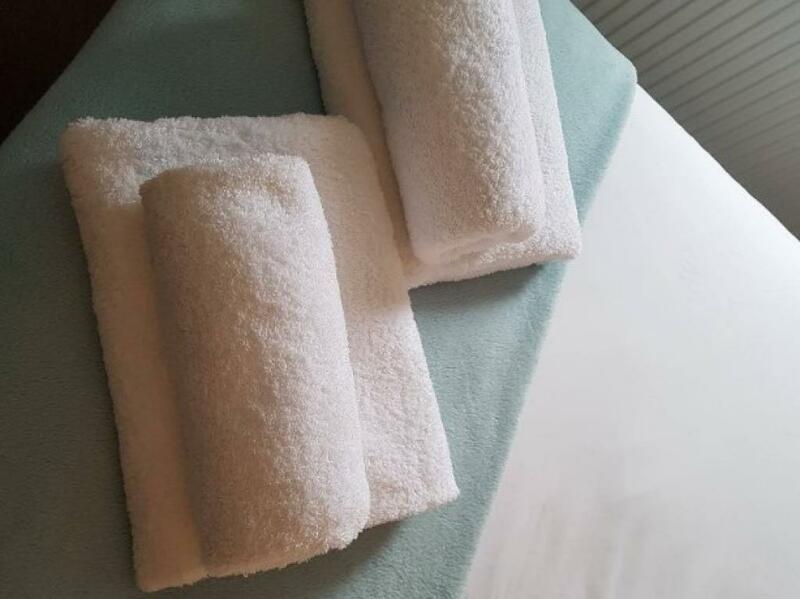 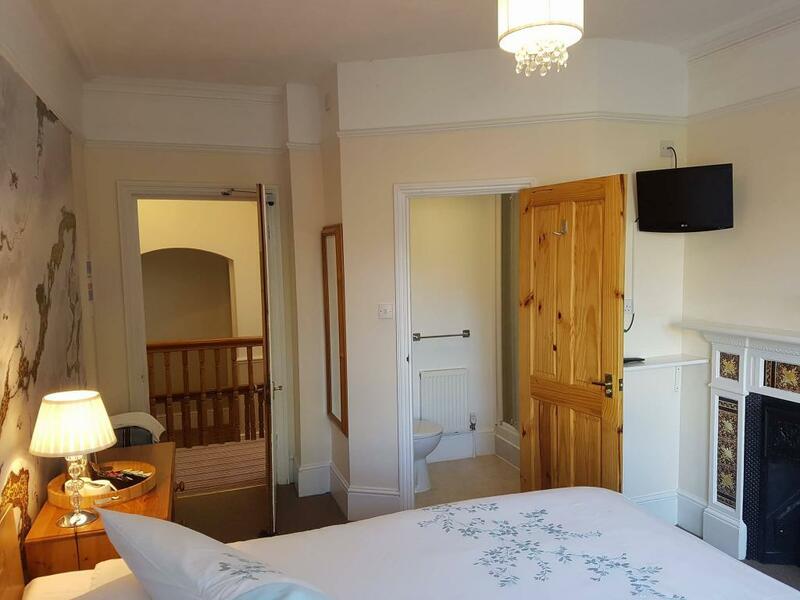 Room facilities: Tea/Coffee Maker, Shower, Hairdryer, Desk, Free toiletries, Toilet, Bathroom, Heating, Carpeted, Flat-screen TV, Electric kettle, Toilet paper, Socket near the bed, Adapter, Non-feather pillow, Hypoallergenic pillow Free WiFi is available in all rooms. 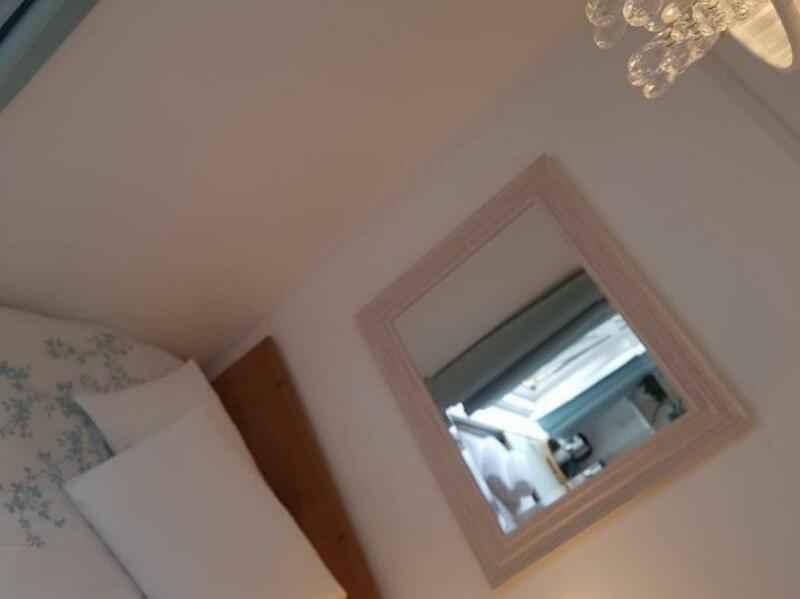 Room size: 108 ft² A large and bright en suite room with either 2 single beds or 1 super king-size bed. 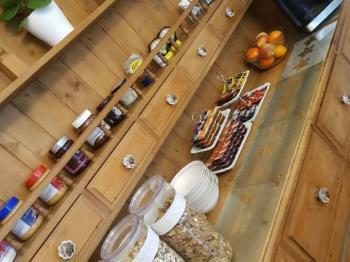 There is a feature fireplace, a flat-screen TV, free Wi-Fi access and tea and coffee making facilities. Please state whether you require 2 singles or super king-size bed in the Special Requests box when booking. 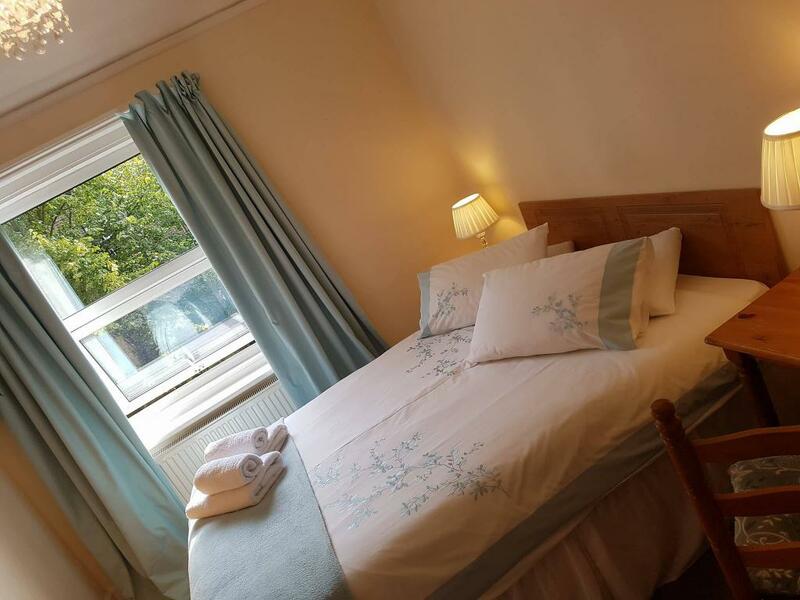 Room facilities: Tea/Coffee Maker, Shower, Hairdryer, Desk, Free toiletries, Toilet, Bathroom, Heating, Carpeted, Flat-screen TV, Electric kettle, Toilet paper, Socket near the bed, Adapter, Non-feather pillow, Hypoallergenic pillow Free WiFi is available in all rooms. 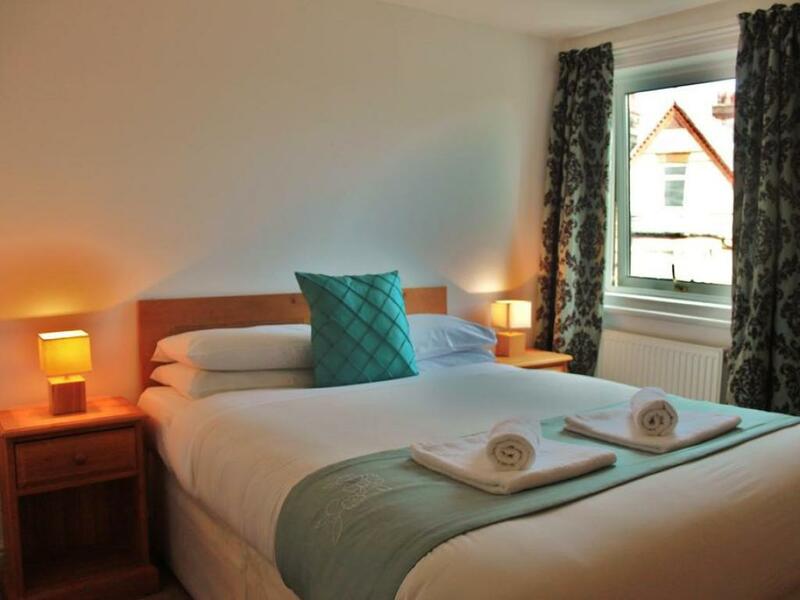 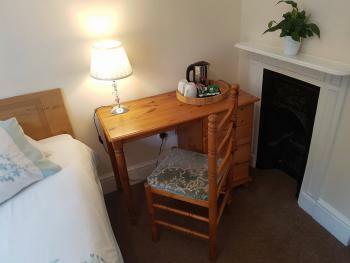 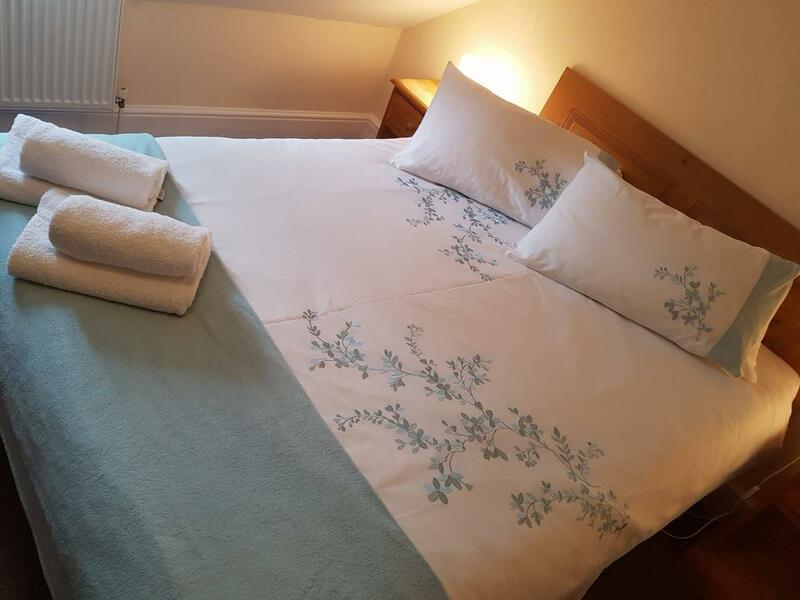 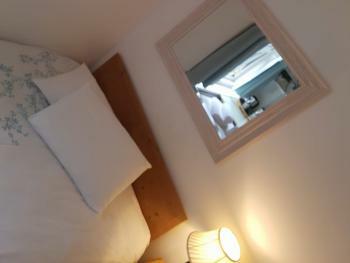 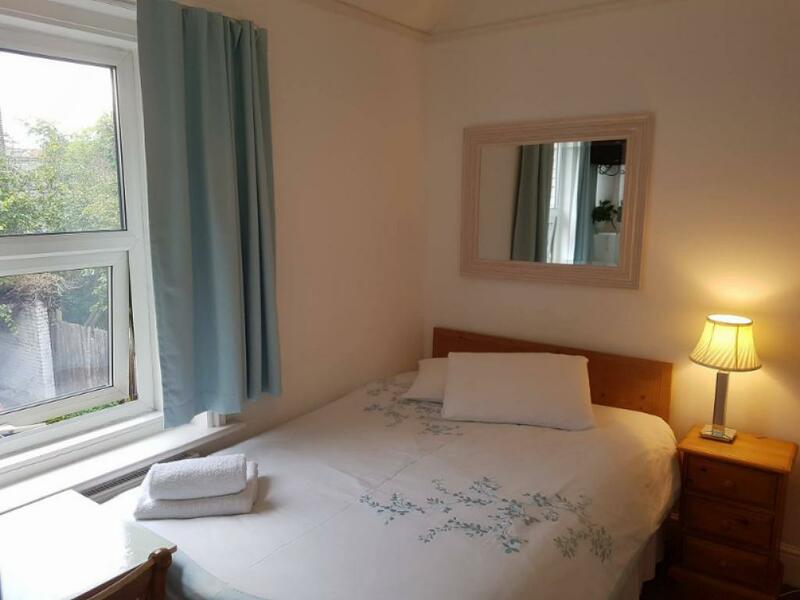 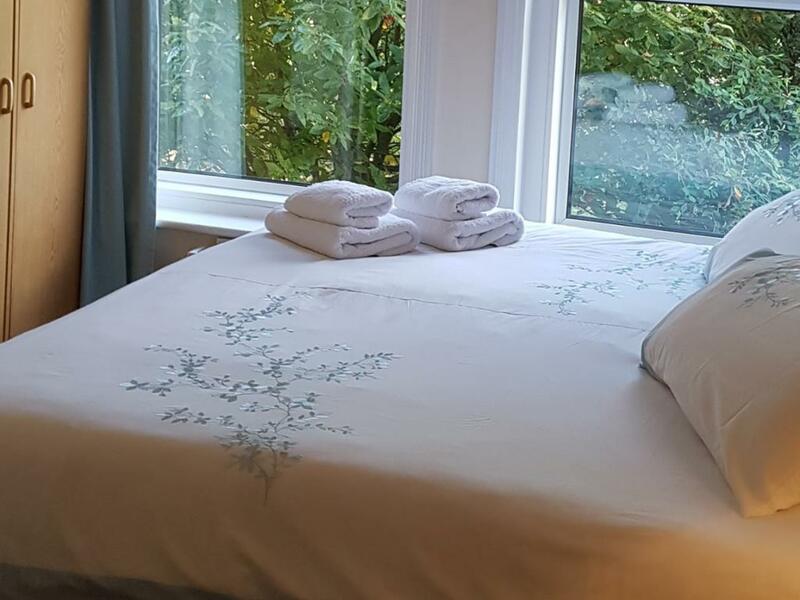 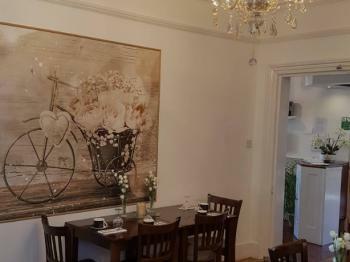 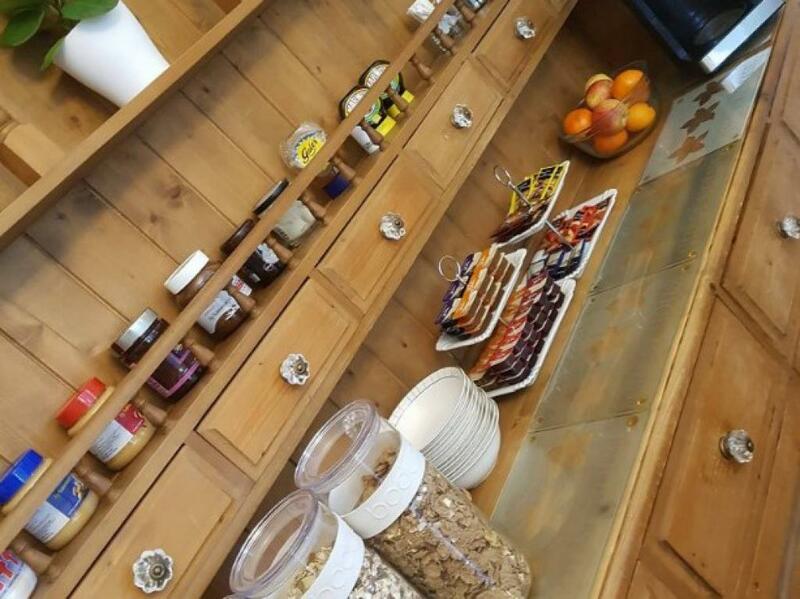 Room size: 129 ft² A large and bright en suite room with a super king-size and a single bed, a flat-screen TV, free Wi-Fi access and tea and coffee making facilities. 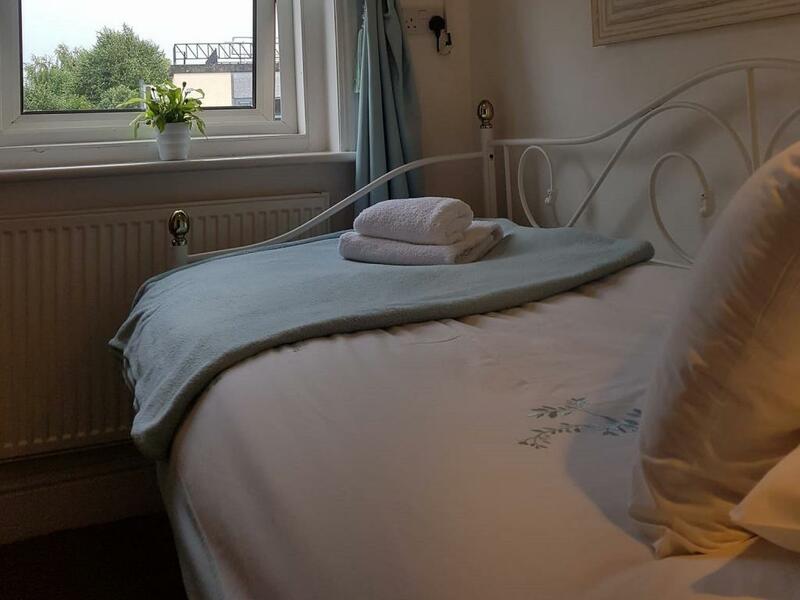 Room facilities: Tea/Coffee Maker, Shower, Hairdryer, Desk, Free toiletries, Toilet, Bathroom, Heating, Carpeted, Flat-screen TV, Electric kettle, Toilet paper, Socket near the bed, Adapter, Non-feather pillow, Hypoallergenic pillow Free WiFi is available in all rooms. 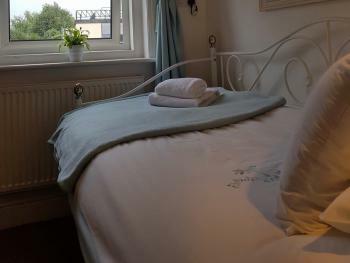 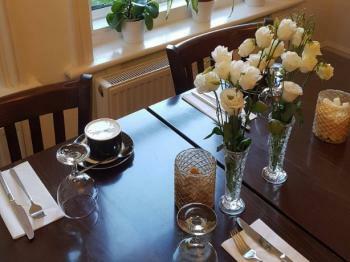 An en suite room with a flat-screen TV, free Wi-Fi access and tea and coffee making facilities. Please note that rooms vary in size and some are on the top floor with sloping views. 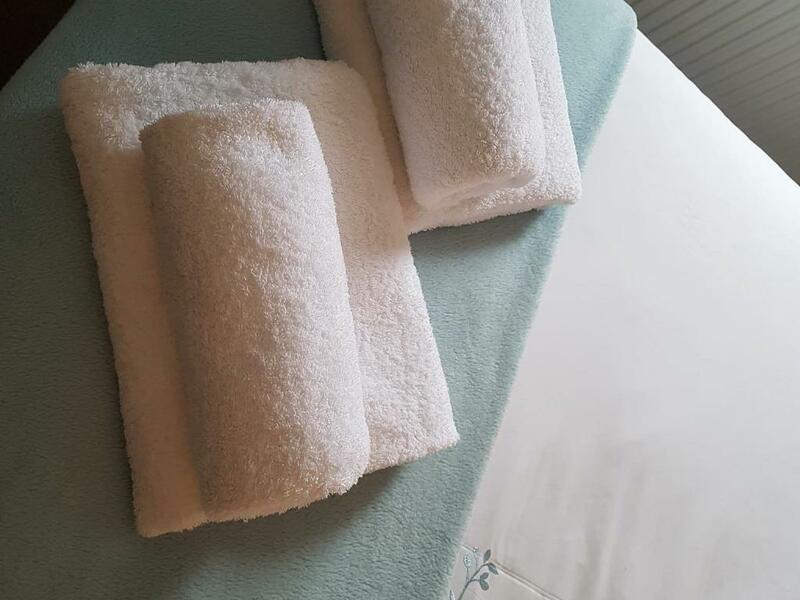 Room facilities: Tea/Coffee Maker, Shower, Hairdryer, Desk, Free toiletries, Toilet, Bathroom, Heating, Carpeted, Flat-screen TV, Electric kettle, Toilet paper, Socket near the bed, Adapter, Non-feather pillow, Hypoallergenic pillow Free WiFi is available in all rooms. An en suite room with a flat-screen TV, free Wi-Fi access and tea and coffee making facilities.